(New York, NY): In the spirit of the season, singer, songwriter, producer Masego released “Favorite Tings,” a festive Christmas rendition of “My Favorite Things” from The Sound of Music exclusively via Amazon Music. Moving seamlessly between singing, rapping and scatting with a flourish of his signature saxophone greatness, Masego’s smooth winter track is a modern take on the musical classic. 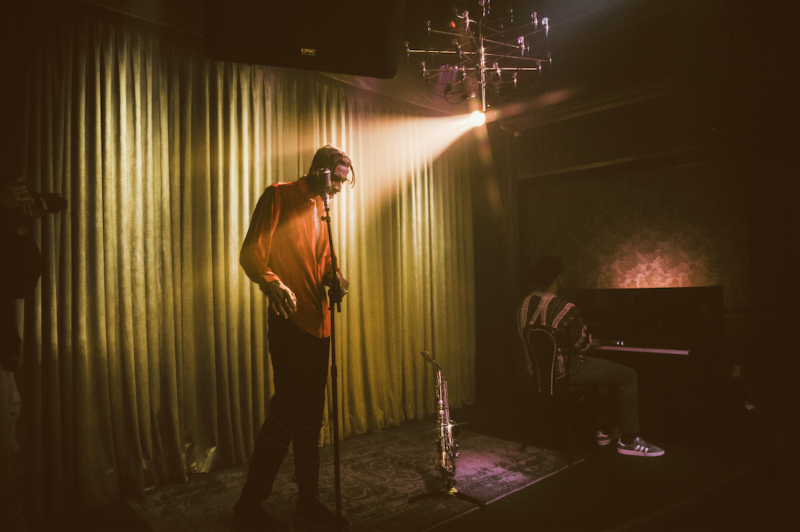 Clad in a red velvet shirt, Masego takes the stage in a dimly lit barroom with his saxophone by his side. The one take video features the young charmer exhibiting his sensual, spectacular flow as he commands the crowd. Masego’s 2018 debut US headlining tour sold out all 25 dates, filling rooms like Irving Plaza in New York, The Fonda in Los Angeles, and two shows at U Street Music Hall in Washington, D.C. Joined by two back up singers, drummer, guitarist, bassist, and saxophonist. Earlier this year, Masego released his debut album ‘Lady Lady’ that featured collaborations with SiR, FKJ, Tiffany Gouche, Kehlani and De’Wayne Jackson.